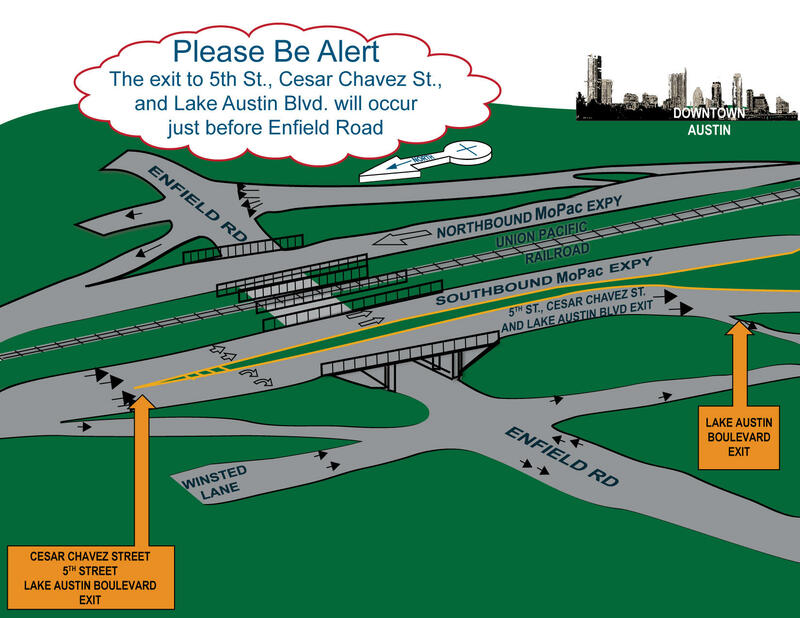 “If you’re driving South on MoPac and you want to get off at Cesar Chavez and 5th Street — or use the Lake Austin Boulevard exit, be sure to stay to the right, and be prepared to make that exit before you get to Enfield Road, which is about half a mile sooner than the current exit," says Steve Pustelnyk of the MoPac Improvement Project. Pustelnyk says the exit changes are expected to last between three and five months. And you can expect more changes and closures in the coming months as work on the new underpass gets underway. Though the signs along North MoPac about the project say “Opening Fall 2015,” the folks behind the project might want to add an asterisk to that. Tunneling the underpasses is the tough part of the project, says Pustelnyk. “Perhaps the most complex and time-consuming of all elements of the project. The project has faced a number of challenges: workforce, and the vibrant economy, and a shortage of workers has certainly been one of them that the contractor has faced,” he says. He says these delays mean that the toll lanes will not fully open this year as originally planned. But a portion of the toll lanes could open this year, with the full project now expected to open sometime next year.